Selecting the best tennis racquet is a big deal and it can also convert you as a looser to winner. Either you are a beginner or advanced player selecting the right one can make a big difference for your game. While buying tennis racquet you should take some parameters in your minds such as weight, balance, and head size. Each tennis racquet has a special features. We simply helps you how to differentiate between different types of racquets and which one offers you best. 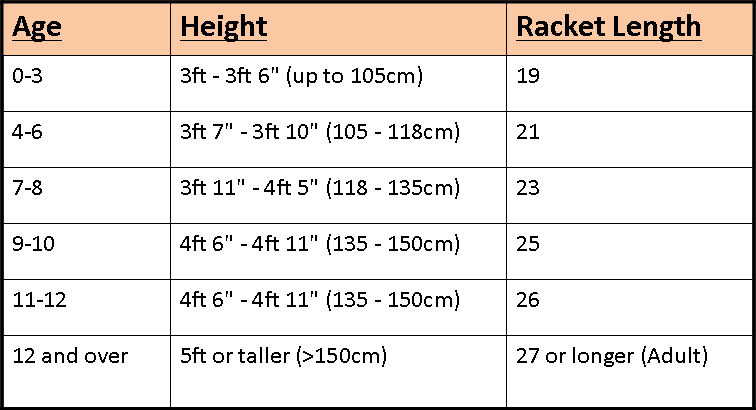 The most essential part is to choose the perfect type and size of rackets that gives best match to your game. * Do I need and Adult or Junior racket? According to your age and height you can choose either one should move from a junior to adult racket. To find where you stand in height and age we make a table that will help you..
* What grip size do I need? GRIP 1 : is used for most junior player which hand’s size comes in 1/8 inches. GRIP 2 : is used for junior player which hand’s size comes in 1/4 inches. GRIP 3 : is mostly used for women player which hand’s size comes in 3/8 inches. GRIP 4 : is mostly used for men which hand’s size comes in 1/2 inches. GRIP 5 : is generally used for big hand size which comes in 5/8 inches. * More power or more control, or both? HEAD SIZE : To make your shot more powerful your racket should be bigger in head size and vice versa. LENGTH : The total distance from the bottom of the handle to the top of the head is called length. It totally depends on your height and what type of game you play. The major factor which depends upon power or control is the length of the tennis racquet. Measure between 28.5-29 inches which provides greater leverage on a swing, and therefore more power. WEIGHT : Now a days racquets are made lighter in weight. To increase the power and control heavy and mass racquet is made. The different kinds of weight available such as heavy, mid-weight, super-light. As per your comfort ability you may choose any one of this racquet. * How heavy do I want my racket? There are different weight of tennis racquet are available in market. According to your preference you can choose individually. LIGHT WEIGHT : Light rackets generally more powerful comes in up to 235 grams to 275 grams means 9.8 ounces which gives greater speed to racket’s head. Light weight tennis rackets can easily handle and maneuverable. HEAVY : Heavy rackets comes in 300- 350 grams,. This types of racket is used by professionals as they maintain a supreme control that is needed at the top level of the game. When it has slower strokes it provides less power. EVENLY BALANCED : Rackets which comes generally in between 275gm to 300gm . 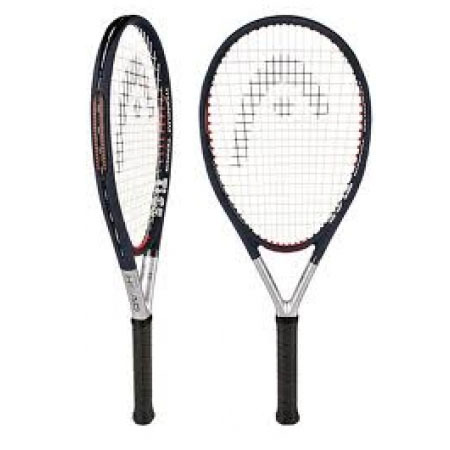 This type of tennis racket is used by intermediate means normal not the beginners nor advanced which makes weight throughout the frame that helps to blend which gives power and control. * What head size is best for me? * What materials are rackets made of, and what does it do for me? Now a days most tennis racket’s frames are designed as light-weight which contains graphite or graphite composites such as titanium, Kevlar or fiberglass and aluminum . Due to this metallic substances its frame gives more flexibility. Frames which is made from boron and Kevlar are durability in nature . Improving players who have not advanced in their swing might find difficult to control the frames. * Strings and string tension? Nylon and natural guts is one of the most common materials used to make tennis racket strings. To get good level of performance strings made with a nylon-core which provides low expensive than the other types of string materials. Normally when racquet string is tight it provides more control whereas to get more comfort string should be loose. Looser strings offers more power due to its hitting power.